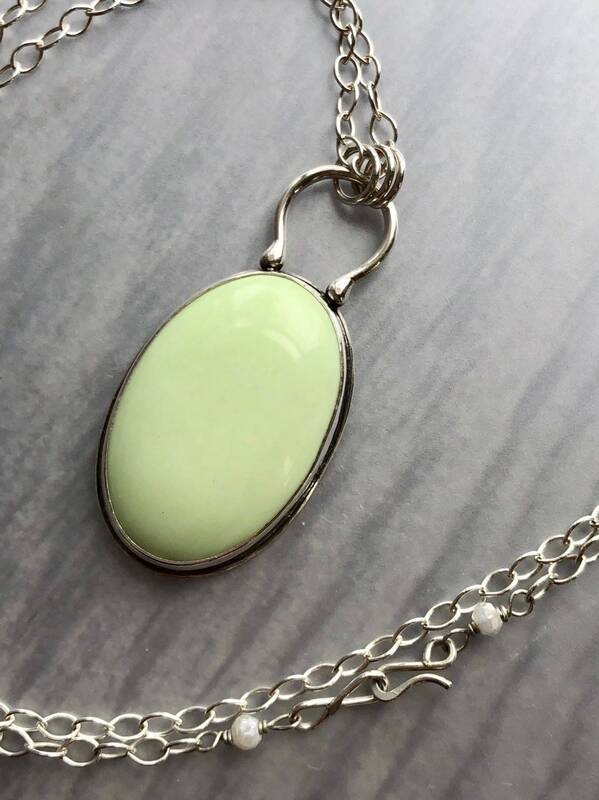 A large oval of lemon chrysoprase in a smooth chartreuse color is showcased in a simple silver setting. 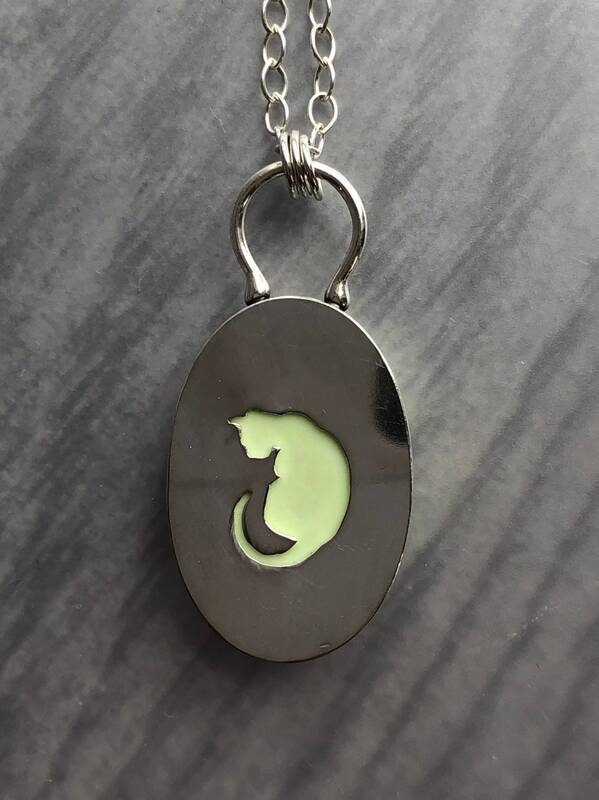 On the back, the graceful silhouette of a sitting cat has been hand drawn and sawn out of the silver, letting the stone show through. 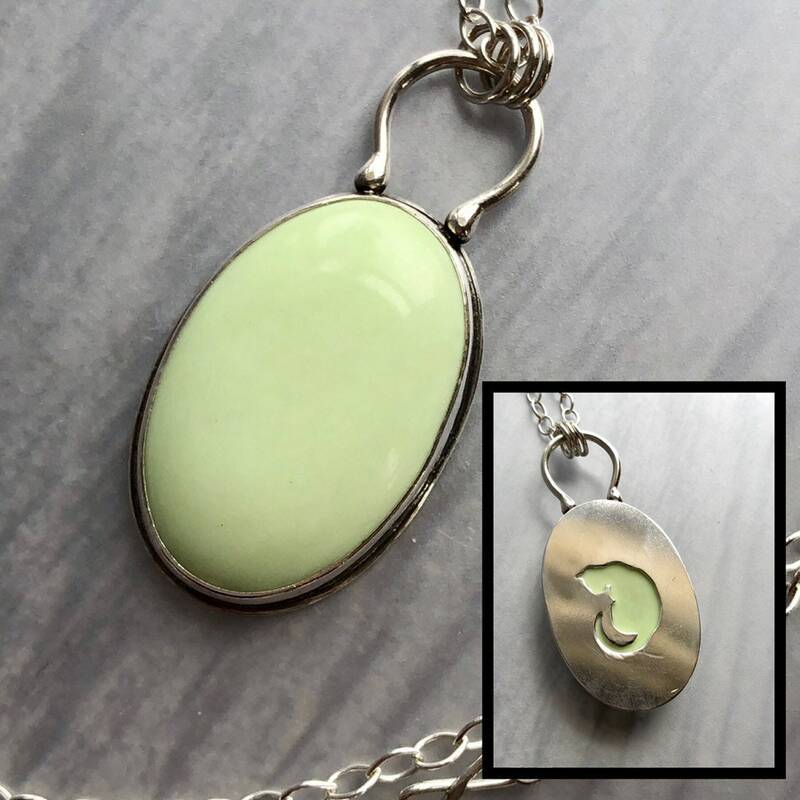 • The pendant measures approximately 1 3/2” x 7/8". 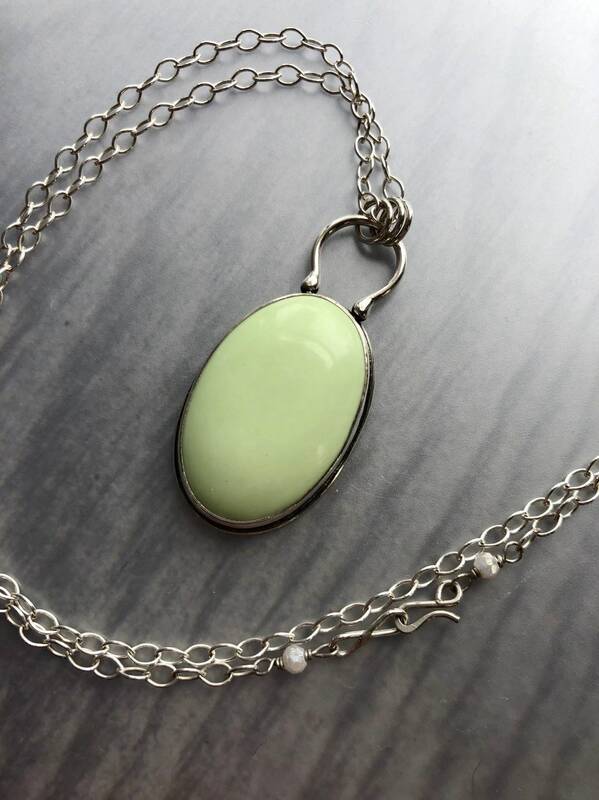 • The lemon chrysoprase is 20mm x 30mm. 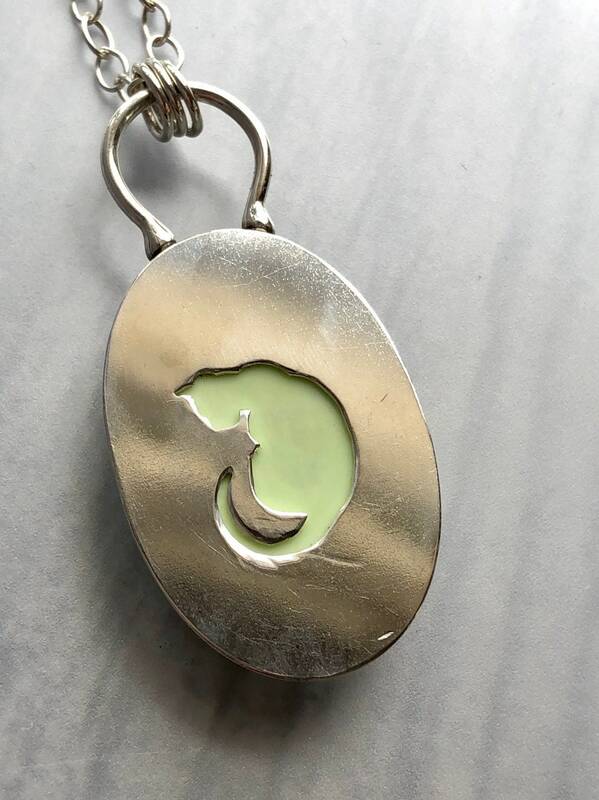 • The cat has been hand drawn, pierced, and sawn out of the back of the piece. 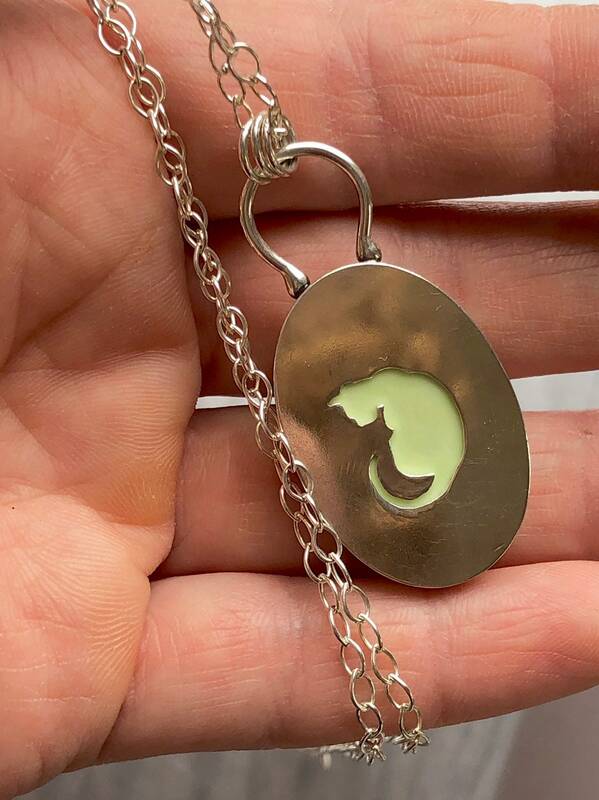 • The sterling silver chain is 20" long and can be lengthened or shortened upon request. 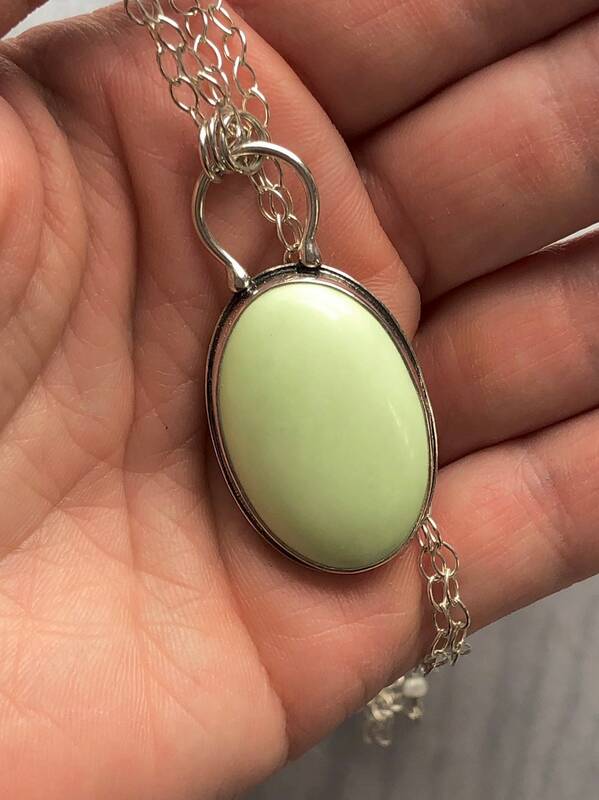 • Small white silverite rondelles attach the chain to the handcrafted clasp.